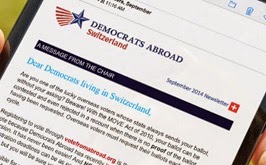 Democrats Abroad Switzerland: Slugout in the Dugout - Democrats Abroad vs. Republicans Abroad! 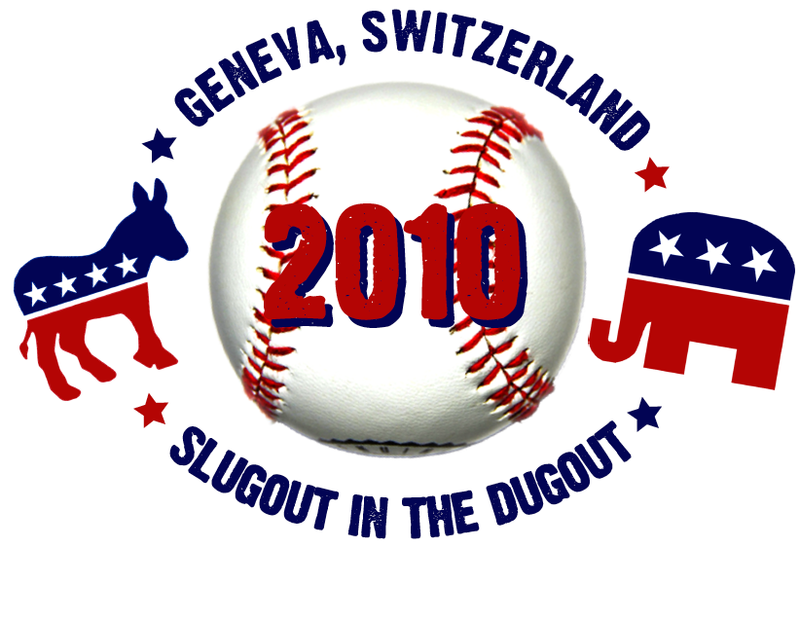 Slugout in the Dugout - Democrats Abroad vs. Republicans Abroad! Democrats vs. Republicans "Slugout in the Dugout"
- a friendly softball match on Saturday July 3rd. There will be American hamburgers and hotdogs AND American beers and soft drinks for sale for all to enjoy, in addition to what will surely be an impressive display of athletic talent! We're recruiting players, cheerleaders, and spectators, so members of all abilities and talents should participate! (There will be a few informal practice sessions for those who want to play but don't know how, or want to shake off some dust, so definitely don't let a lack of experience keep you from joining the ranks! See below for practice dates.) We also have custom-made shirts for the occasion (details below), so be sure to order one, to declare your team (and political) spirit! We hope to see you there! The more the merrier! RSVP will be required for all! Location: In Geneva. Address to be provided upon RSVP. How to join the team: Email secretary@democrats.ch. If you have a baseball glove, that is a big plus so let us know! All other equipment will be provided. T-shirts: Our uniforms (for players, cheerleaders, and spectators alike!) will be baseball shirts (seen here: http://www.customink.com/lab/?PK=98802), printed with the event logo on the front, and your name or "Democrats Abroad" (whichever you'd rather) on the back, above your number. Shirts are 35CHF each, and are available in adult men sizes XS through XXL. Youth sizes also possible for our little Dems who want to support the team! IMPORTANT: If you would like a personalized shirt, we must receive your order no later than midnight, Thursday June 17th. Please include your size, and the name you would like printed on the back (first, last name, initial or favorite Democrat: you pick!). Practice sessions: Get that throwing arm back in shape and remember how to swing a bat!